A6 Euro flap envelopes made using Gmund Color System (31) Canary Yellow 68lb text paper measures 4 3/4 x 6 1/2. 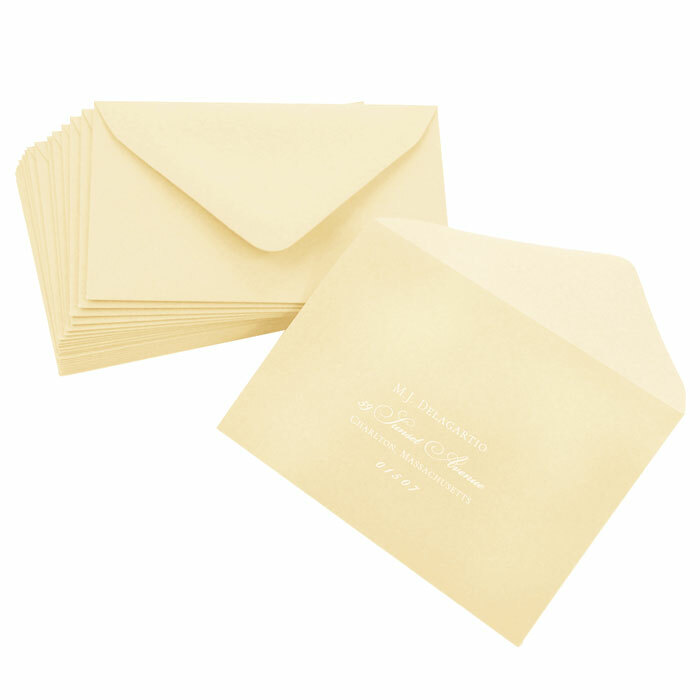 These deep neck A6 envelopes are a standard invitation size envelope & will not require additional postage. Order blank or printed.